The Country Fayre is all about raising much needed funds for Rotary supported charities, and having a great day out at the same time. The Fayre is jointly organised by volunteers from the Rotary Club of Kimbolton Castle and the Sporting Bears Motor Club, the annual Country Fayre provides a fantastic day out for people of all ages and interests. Visitors arrive from a wide locality to see the shows and displays and particularly the huge classic car rally. The annual Country Fayre provides a fantastic day out for people of all ages and interests. Visitors arrive from far and wide to see the shows and displays and particularly the huge classic car rally. The Fayre raises a great deal of much needed money for good causes and charities each year. Last years show featured several new attractions. 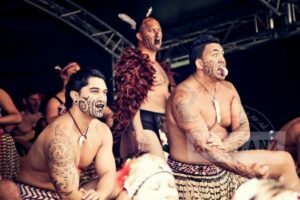 In the main ring: Savage Skills: Free Style Mountain Bike Stunt Team and on the stage the Haka! Returning also were The Sealed Knot – English civil war re-enactments, Heavy Horses, Beagles, vehicle shows as well as the Galaxy Big Band, Lindyhop Dancers and Morris Dancers. We also have a range of new catering outlets and a real ale bar. The classic car clubs were there in abundance, 2018 saw over 900 cars! For children the Millers Ark Mobile Farm, the new Mobile Cave and Bungee Trampolining provided entertainment. Keep watching as this site will be updated with developments as we progress in our planning for 2019.